Both the Agency Safety Plan proposed rule and the proposed National Safety Plan are statutory requirements first authorized by Congress in the Moving Ahead for Progress in the 21st Century (MAP-21) Act in 2012 and reauthorized in the Fixing America’s Surface Transportation (FAST) Act in 2015. The Agency Safety Plan proposed rule would apply to operators of public transportation systems that receive Federal financial assistance and takes into account their size, complexity and operating environments. It would require that the Safety Management System approach to safety, which provides flexibility in establishing processes to address safety risks, be implemented in agencies’ safety plans. The proposed rule would also require transit agencies to set performance targets based on the safety performance criteria established under the National Safety Plan. In addition, transit agencies would be required to have their plans approved by the board of directors (or equivalent) and perform an annual review and update of the plan. Additionally, the Agency Safety Plan proposed rule would require rail transit agencies to include an emergency preparedness and response plan consistent with existing regulations. Further, transit agencies would be required to share their safety performance targets with Metropolitan Planning Organizations to aid in the planning process, and smaller transit agencies would be allowed to have their safety plan drafted and certified by the state in which they operate. The proposed National Safety Plan is not a rulemaking action, but would guide the national effort in managing the safety risks of public transportation systems. 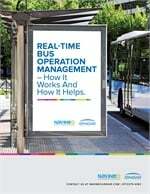 Specifically, it would establish the safety performance criteria of fatalities, injuries, safety events, and system reliability for all modes of public transportation. The proposed National Safety Plan would also set voluntary minimum safety standards for public transportation vehicles in revenue service not otherwise regulated by another Federal agency, including vehicle crashworthiness, fire-life safety, data recorders, and emergency lighting and signage. In addition, it would set voluntary minimum safety standards to ensure the safe operation of rail transit systems, including use and prohibition of electronic devices, roadway worker protection, work zone protections on mainline tracks and in rail yards, operating rules compliance and contractor responsibilities. 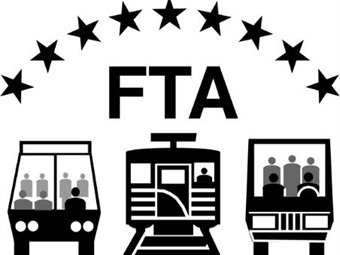 FTA intends for the National Safety Plan to serve as FTA’s primary tool for communicating with the transit industry about the industry’s safety performance. FTA expects to provide updates from time to time in response to risk management trends in the transit industry, emerging technologies, best practices, findings from research, and other industry developments. To view the Proposed Rule, click here. Public comments on both the Agency Safety Plan proposed rule and the proposed National Safety Plan must be received by April 5, 2016.